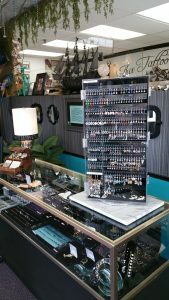 Jewelry for all types of piercings. 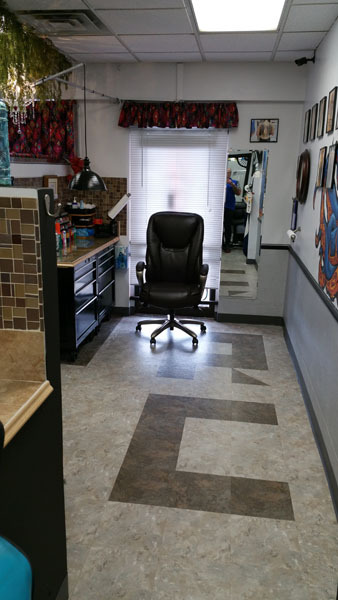 Come in and see us at ACE TATTOO & PIERCING for all your body piercing desires. We have a clean, state-of-the-art studio with a wide selection of quality jewelry. We will see to it that your piercing is a safe and memorable experience. 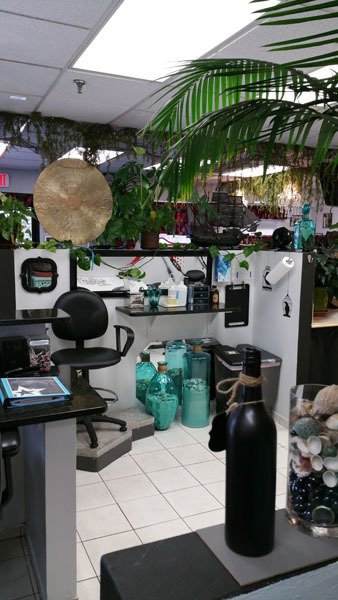 ACE TATTOO & PIERCING is a health department licensed studio and we are backed with strict adherence to sterilization guidelines. You have a right to beautify your body. Explore your creative vision. ACE TATTOO & PIERCING can help you make it happen. The DAITH, located in the inner cartilage section of the ear, runs through a pressure point. This piercing is done using a straight needle, passed directly through the center of the cartilage. A ring is inserted which appears to be coming directly out of the ear canal. 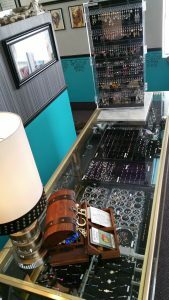 This piercing takes about 10 minutes and costs $70 which includes your choice of a small, silver, gold, black or titanium colored ring. Have it done on the same side as most of your migraines occur. Clients who have had this piercing done have seen great success in reducing the incidence and the severity of their migraines. 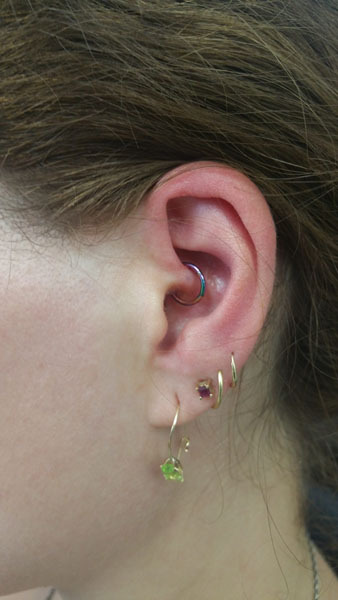 If you struggle with migraines on a regular basis, a daith piercing is a great opportunity to get some much needed relief and alleviate the need for you to live on a daily pain medication. 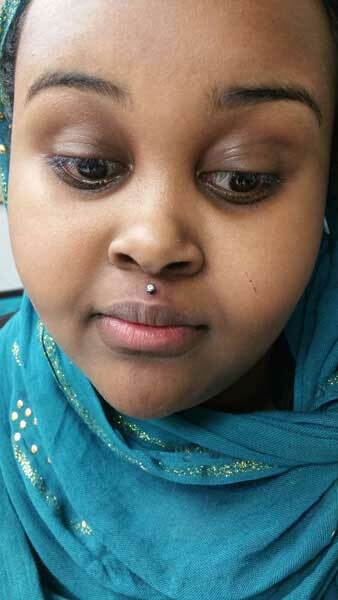 Call us at (763) 595-8484 or come in to our studio and speak to one of our piercing professionals.